a) Luxury Goes Digital: From clothes to cars & chocolates, legacy brands are opting for the e-commerce highway increasingly. With brick-and-mortar stores co-existing with their online counterparts, in a world where spending on luxury is not just an in-store experience but also an on-screen one. Rather than getting into an e-service model as compared to a full blown e-commerce one, more luxe brands will be seen emulating what Burberry has done with its online store, which showcases and sells all of Burberry’s latest offerings. It also looks interesting with models posing in the outfits as in a magazine, along with relevant details of upcoming fashion shows and event. b) Luxury moves on from ‘Diffusion’: Diffusion brand, the trend of 90s and early 2000 is almost on its last leg. Diffusion brands relate to a tertiary line by a well-known designer/house aiming at reaching out to an aspirational buyer with lower price points. With brands going digital, their bandwidths have also shrunk in a way that more attention is paid on the flagship brand, so the secondary sister brands are getting subsumed, like Marc by Marc Jacobs got absorbed into the main Marc Jacobs line in 2015 and D&G by Dolce & Gabbana also fizzled out in 2011.
c) Luxury Goes Green: With the rise of the conscious consumer, the green-loving luxury buyer is a sizeable section of the market and the numbers are poised to grow further, as more woman HNIs join in the ranks. Catering to this section is the need of the hour, as luxury brands incorporate eco-conscious as part of their product or promotion. So international designers like Stella McCartney with her no-animals policy, or Donna Karan with her Urban Zen initiative combining a philanthropic foundation along with a retail arm distributing a line of natural and organic fashions, are not fringe anymore but trend-setters in their own right. Indian all-organic brands like Bhu:Sattva and No Nasties have been at the forefront of what is being emulated by a lot of indie designers, to use natural fabrics over synthetic ones. 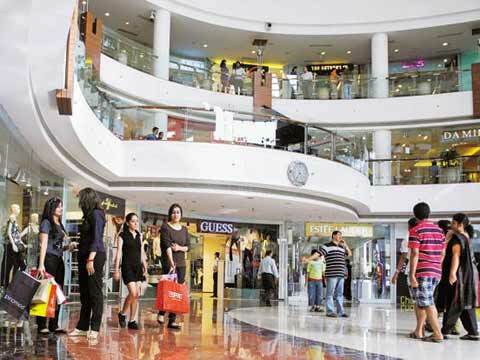 d) Luxury Steps Out: With upscale designer stores moving out of the four-metros-only comfort zone, other Indian cities are fast becoming home to a host of designer stores. Hyderabad is one of the examples with stores of high-end designers like Sabyasachi, TarunTahiliani et al. In fact with 35 per cent of luxury sales in India, reportedly, being generated from non-metro cities like Aurangabad, Ludhiana, Kochi and Bellary; luxury brands will be soon expanding into these geographies as well. e) Luxury At Your Doorstep – Indian luxury portals like Darveys, Elitify, Exclusively, Pernia’s Popup Shop have already floored the Indian luxury consumer with their respective USP. With a vast collection of apparel and accessories from established and indie brands, they make it all better with customised consumer experience and delivery at your doorstep. Niche concepts like of Darveys which offers wedding trousseau services from purchasing and packaging, are going to be defining new trends in this sector. f) Luxury Changes Hands: While the time-starved shopper debates, spending time in store assessing value propositions of yet another in-season handbag, or the brand-conscious young professional debates splurging on another high-end product, there comes online portals which curates and sells pre-owned [or pre-loved] couture collections from international brands that are positioned at lower price points and with accompanying services to make it a real sweet deal. Confidential Couture and Zapyle in India are just two of the many outfits, in this domain which is going to see a spurt owing to the expansion of HNI households and cash-rich consumers. g) Luxury Reinvents With Collaborations: With successful collaborations like Apple and Hermes for the leather-strapped smartwatch; Sabyasachi and Christian Louboutin for a range of hand-embroidered formal shoes, global is going to marry local. Innovative products will be created, which bring together strengths of respective luxury brands and allow them to tap into each other’s markets as well. Such creative collaborations are only going to increase in instances, as the consumer wants to stay rooted to their contexts while asking for global standards. h)Luxury Goes All Personal: So, there is Canali’s made-to-measure men’s range and Burberry’s monogramme-able cashmere scarves, as examples to show that luxury is becoming all about customisations and personalisation for the discerning customer, someone who is looking at exclusivity and unfaltering attention to details. As more luxe brands try new ways of attending to their patrons, the distinguishing point is going to be in the kind and range of customisations available, and of these there will be many. i) Luxury Lies In Wearable Art & Tech: While quirky prints continue to be in trend, what has been the point of departure is the popularity of art on costume; as young designers like Salita Nanda, Dev R Nil, Anupama Dayal are also incorporating art-inspired patterns onto their creations which then become ready-to-wear art. Similarly, smart jewellery is finding itself on top of gift-worthy luxury lists as fitness bracelets, notification rings and neckpieces from brands like Mira and Vinaya are defining the next-gen wearable tech. Certainly, a new chapter in fashionable luxury matching up with cutting-edge technology. Author's Bio: This article has been written by Ms. Manisha Rao- Founder of the Luxe Cafe.